New and improved rooibos based chai recipe with a touch of vanilla to lift the spicy base flavours. This has given a silky smooth more balanced flavour to the previously potent blend. 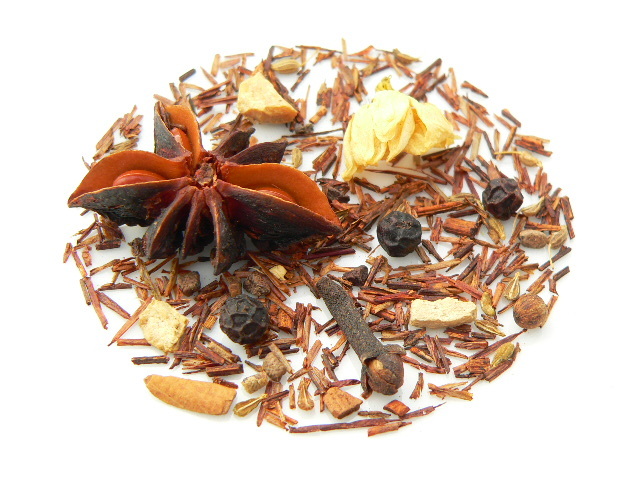 The new blend now consists of rooibos, cinnamon, ginger pieces, black pepper, cloves, aniseed and vanilla extract. It still has a spicy chai hit but now with a smooth finish equally tasty with or without milk! Increasing the brew time increases the spicy hit, so adapt to personal taste. 4 minutes is a good place to start, using 4g per 250ml cup.